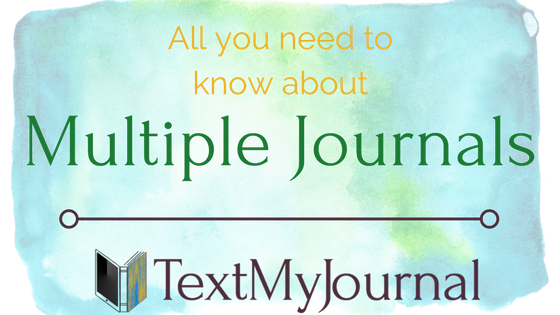 It’s been a busy few months here at TextMyJournal. If you’ve been with us for a while, you’ll know we recently revamped our entire system. And we’re SO thrilled. There are so many exciting changes happening, and we can’t wait to hear how you’re using them! We’ve found many of our users have several things going on in their lives – some are traveling and entrepreneurs and parents and working on self-care all at once. And there’s not really one journal for that. 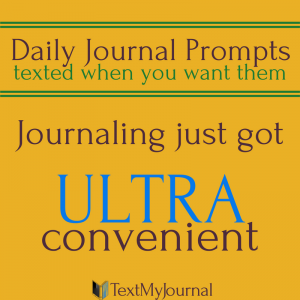 Which is why we’re so thrilled that you can now have multiple journals – all for the same great price of one journal! Great question – and we’re glad you asked. Maybe you’re a busy student and an artist. Now you don’t have to choose to keep an art journal or a journal about your college adventures. You can do both. And you can keep them separate, too! Maybe you’re a busy working mom with two kids. You want to keep a journal for both kids individually and you’d like to keep a journal for your journey as an entrepreneur. Guess what? Now you can. You can have a journal for each child and for you. And it won’t cost you a penny more. It won’t cost you a cent more. You read that right. One journal or 10, it’s all included in your membership. So how do I set this up?! Set your journal prompt schedule and category, and you’re all set!